Sciatica refers to the irritation of the sciatic nerve. The sciatic nerve runs along the lower spine, extending all the way down through the pelvis and buttocks. From that point, the sciatic nerve even branches out into the upper legs, knees and eventually the feet. If there happens to be any form of pressure put on this nerve, then it can instantly create an irritation that tends to lead to people experiencing various levels of back, neck, leg and arm pain. Unfortunately, this pain can get worse by a person performing everyday activities like sitting down, standing up, lifting heavy objects, straining too hard and even coughing and sneezing. Fortunately, sciatica is a result of a spinal condition that is treatable. The main sciatica symptom includes various degrees of pain in the lower back that extend down into the leg. The fact that symptoms can get worse when someone makes a sudden movement makes sciatica pain treatment essential to one's quality of life. In many cases, patients who do not receive treatment will feel pain over every possible action. Fortunately, the majority of people who receive a sciatica diagnosis will heal within a few weeks. Although, it may take up to three months for all of the sciatica symptoms to completely go away. If the symptoms get worse, then it can be an indication that the nerves have been damaged and require immediate medical attention. If symptoms are present in both legs at the same time, it is also recommended to see us as soon as possible. Since sciatica pain can make it difficult for anyone to live their lives in a productive manner. This difficulty is mainly due to not being as active as they need to be. Thus, a treatment plan for sciatica pain is necessary. However, we need to customize the treatment to the patient's needs. The following is a list of the most common sciatica treatment suggestions that are currently available. These treatment options can assist with a sciatica care as well as help alleviate any discomfort or pain associated with the condition. Switching from hot and cold over a two-hour time frame is recommended when someone experiences high levels of pain. Over the counter pain medications can assist when it comes to lessening any pain sciatica sufferers are currently experiencing. However, these medications are only for relief and will not actually treat the condition. An epidural injection can help to minimize any swelling, which can offer pain relief for up to one year. Spinal adjustments performed by a chiropractor can assist with the underlying reasons that caused the sciatic nerve pain in the first place. This sciatica back pain treatment option has been recognized and approved by the FDA and the National Institutes of health. Acupuncture may be the most effective treatment option for some patients but not for others. We will need to conduct an examination to determine what the most effective option will be. There are many benefits that come with choosing massage therapy, i.e. muscle relaxation, better blood flow and endorphins release. All of these benefits can help the patient with the overall condition. Sciatica surgery is a last resort for treating sciatica. While those suffering from sciatica pain may be tempted to rest, resting can make it worse. We can teach patients a number of exercises that can help strengthen the lower back, hips and legs to help the body recover. Back pain care is something that everyone should be focusing on an everyday basis for their overall good health. If a medical issue does happen to arise, like sciatica, a person with a strong core is already one step ahead of the game. Those suffering from sciatica often experience more leg pain than back pain. People may not realize that receiving professional massage treatment can help to apply pressure to irritated areas. The massage therapy helps to relax the muscles and decrease the chance of the sciatic nerve taking damage. Using a hot and cold compress alternatively in 15-minute increments is also recommended when it comes to treating sciatica leg pain. As a spinal pain specialist, we take the time to truly customize your treatment to your needs to ensure recovery. 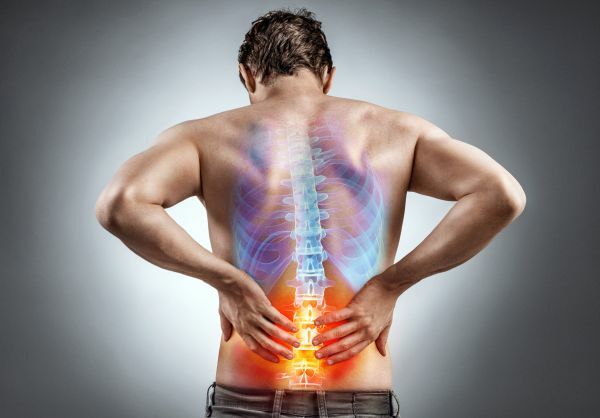 We are able to perform the physical and neurological examinations necessary in order to figure out the problem causing this sciatica pain in the first place, which can help to ensure that it does not happen again in the future. The first step for treatment is to give us a call and schedule an appointment. We will conduct an examination and determine the most effective treatment method.